Sometimes it seems as if the seasons just can’t make up their minds. Winter may feel like it is petering out, but spring may still be a little too shy to show up, leaving us stuck in an awkward seasonal limbo. While hitting the slopes is still an option, core shots galore is an intimidating possibility. Is tubing over dirt patches a thing kids still do? Maybe, but that might end in some fractured limbs and flesh wounds. So what is there to do while floating through the moody transition from winter weather? Here is a list of adventures to try while waiting for that spring sun to shine. 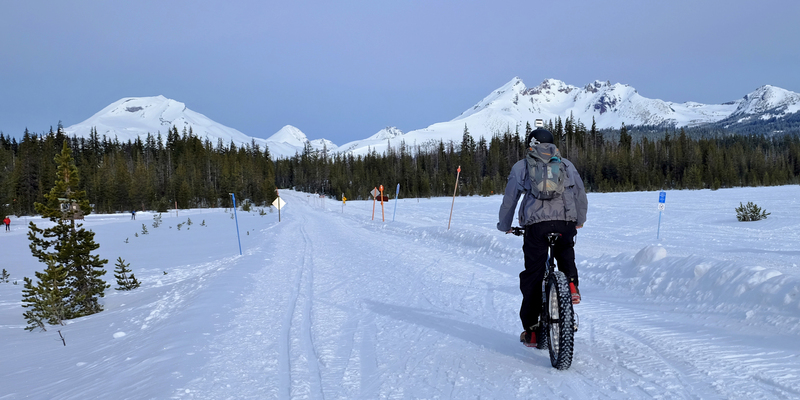 Although snow may make hiking seem like an intimidating task, especially in the melting slush phase, getting out on the trails is a great send-off for winter. Watch the world as it transitions through the seasons with frosted tree tips and small creeks beginning to babble beneath icy fortresses. Wearing either snowshoes or high-traction boots can make the hike a little easier. Consider wearing shoes that are waterproof and well insulated. Danner has some great options for winter hiking such as the Mountain Light Cascade, which have the Danner-Dry promise and high traction for winter activities. If you’re wanting that extra degree of comfort, snowshoeing may be the better bet. Choosing the right snowshoe can be a daunting task. Start by figuring out what kind of terrain you plan on visiting most frequently (rolling hills, flat trails, etc.). Once you’ve determined the desired terrain, select features that will match your needs. For example, if you plan on snowshoeing in an area with significant elevation change, choosing a pair of snowshoes with a heel-lift (also known as a televator), could be beneficial. If you are planning on remaining in mostly flat terrain, the lift isn’t necessary. Once you’ve chosen the pair of snowshoes that best fit the planned activity area, be sure to wear appropriate shoes. Oboz Footwear designs ideal boots for snowshoeing that are highly insulated, waterproof, and have supportive insoles for longer days on the trails. 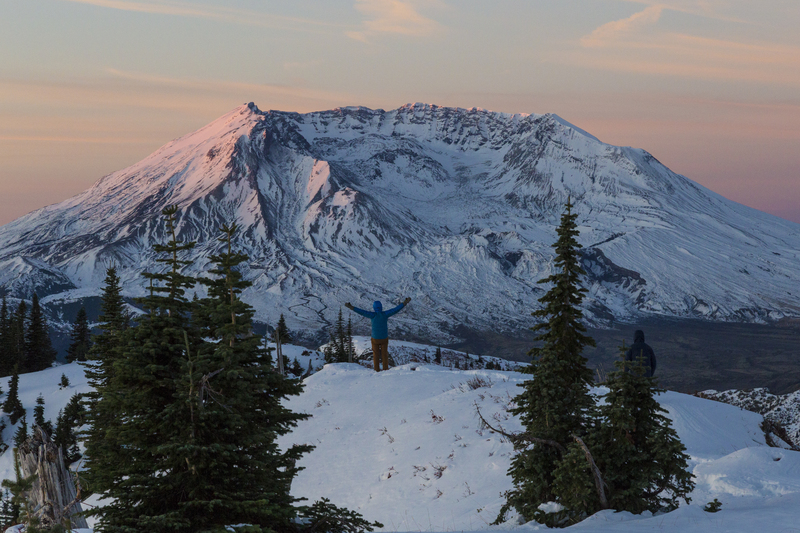 Find great snowshoeing and winter hiking trails near you! Want to kick up the speed? Go for a run! Winter weather doesn’t have to stop running anymore. 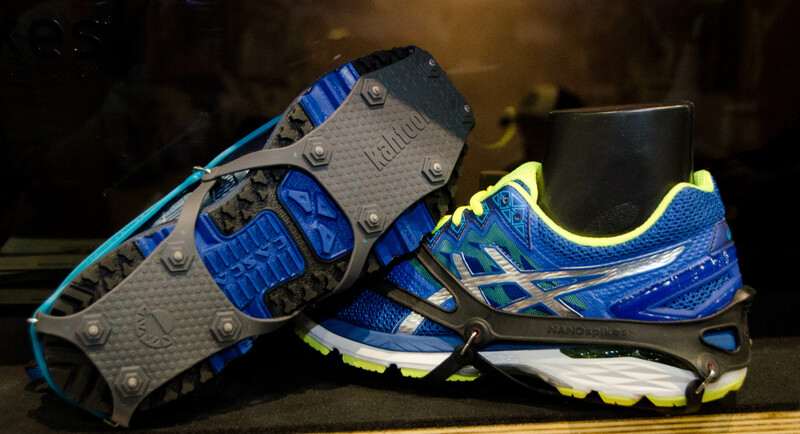 Brands have begun to introduce microspikes (or micro cramps) that are designed for urban running. The emphasis of the technology is to provide extra traction on icy bits and run well on pavement and concrete. If the plan is to get out of town and hit the trails, consider wearing spikes with longer teeth to dig into the packed snow. Most of the spikes and crampons are easy to put on and fit almost any shoe. No more excuses, time to get out for that post-winter-hibernation jog! Snow is a natural noise absorber, which is one reason why the world seems quiet in winter. Peaceful nights and secluded camp spots are just two of the many benefits to camping in the winter conditions. Plus, being snug as a bug while admiring the frosted world around is as relaxing as you can get. Consider taking some extra human comforts and you won’t even notice that you’re beating those summer crowds by camping in the off-season. High R-Value sleeping bags, appropriate sleeping pads, and maybe even a fancy coffee maker (like this sweet mini camping espresso maker by GSI Outdoors) will make for a cozy set-up. 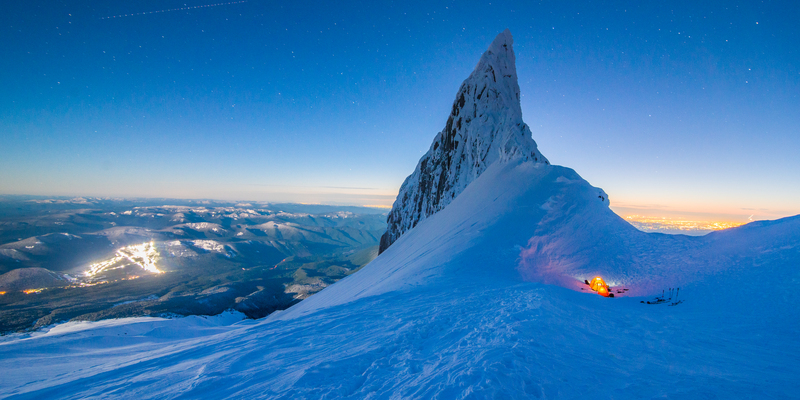 Learn more about how to get started with snow camping here! Imagine if a mountain bike and a monster truck morphed together to make the ultimate transformer of transportation. Ok, that might be a little bit of an exaggeration, but you get how awesome that would be, right? Well, that is basically what a fat bike is. Snow is no longer an obstacle as the extra tread rips through the slopes and grips traction even on uphill. Plus, since it’s a bike, riding through mixed seasonal conditions such as puddles and dirt patches is no problem. The only possible downside? You’ll have some rock hard buns of steel because those fat tires are not easy to rotate. Although snow is still desirable for cross-country skiing (I mean, it is still skiing after all), often times the activity can be done with a lower snow base than its alpine brethren. Groomed tracks make for easy gliding, and the activity can be as challenging or leisurely as you need it to be. Similar to resorts, cross-country runs are normally classified as green, blue or black, (easiest to most strenuous). Additionally, there exists various types and styles of cross-country skiing. Track, backcountry and skate are the most common. The major differences between the three are easy to decipher. Track skiing simply means that your skis are slender enough to fit within the groomed tracks. Once a ski's waist reaches a certain width, it is not longer allowed in the groomed tracks because it would obviously destroy the line itself. 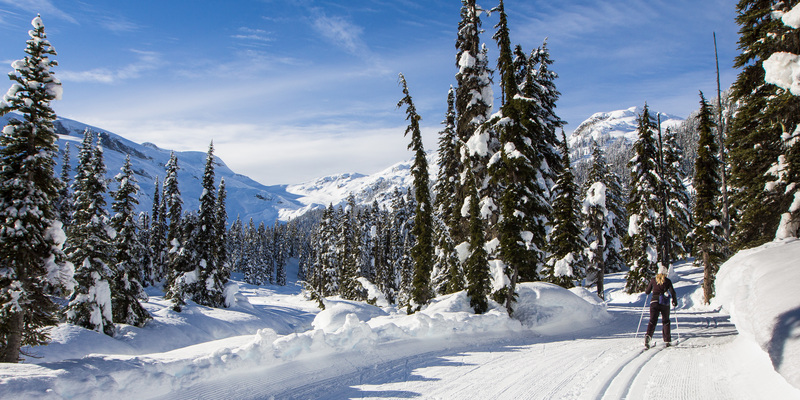 Then you'll find yourself crossing over into the backcountry cross-country ski world. Lastly, skate skiing is named for the physical motion of the sport. Cross-country skiing is a linear motion like walking, and one foot lands after the other, alternating between grip and glide; however, skate skiing is more like, well, skating. The motion begins to expand out sideways with kicks and glides and alternating weight in a more horizontal motion. As a result, skate skiing is often done on groomed terrain and does not have tracks. Find the perfect XC trail to get started on here! Of course, we all wish that the seasons would make up their minds and let us play in buckets of winter powder. However, should your region of the world be experiencing a seasonal limbo, consider trying one of these activities and go get after it.